I am still impressed with Marketown as a shopping venue. 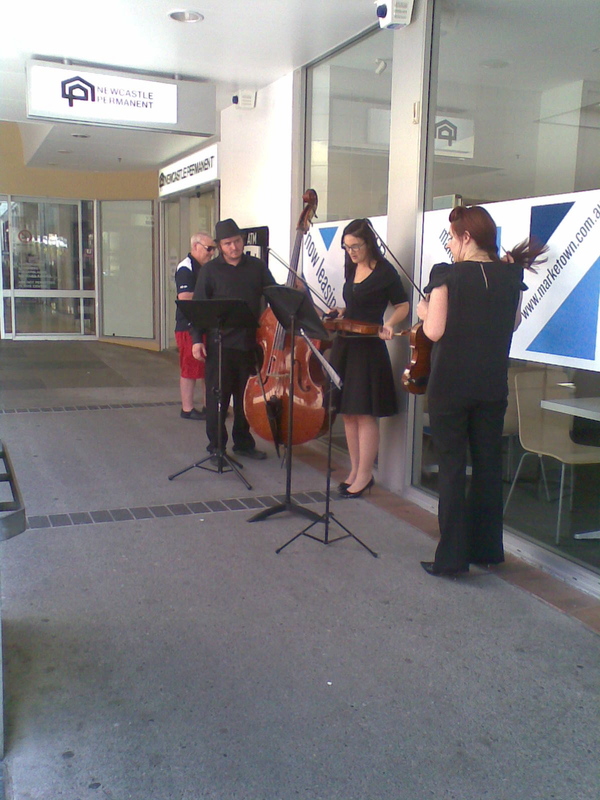 Today there was a trio of musicians hired by the Centre to entertain shoppers and help to create an ambience of classical culture. 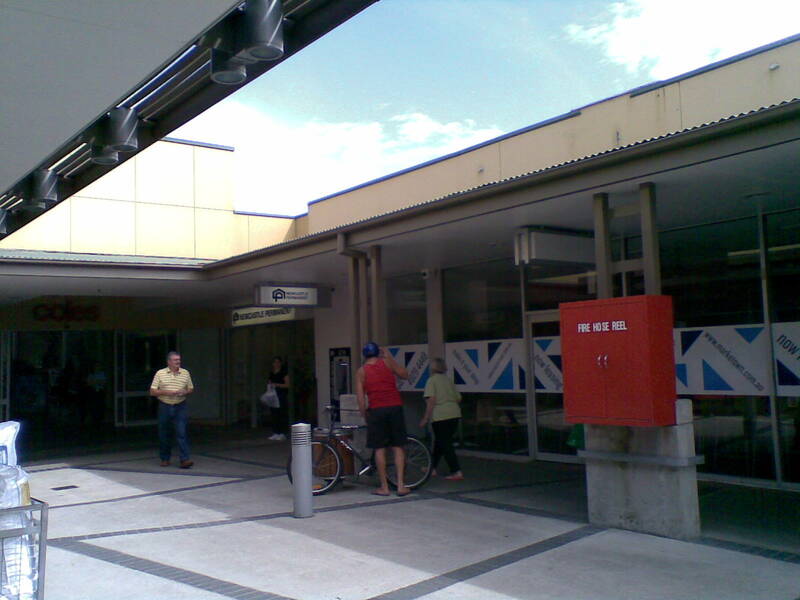 The Centre has also hired “help staff” to work in the parking spaces to help customers with trolleys or having any sort of difficulties, I could not imagine this happening in any of the major shopping centres around here. 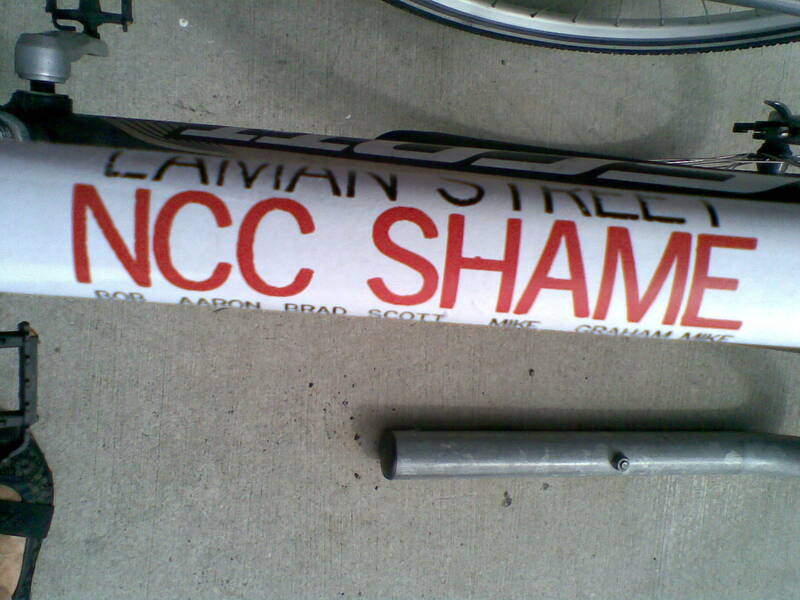 This sticker on a bike frame, for anyone who has followed the local Fig Saga. Bike riders are easily able to come and go at this Centre, happily oblivious to the car drivers searching for parking spaces. 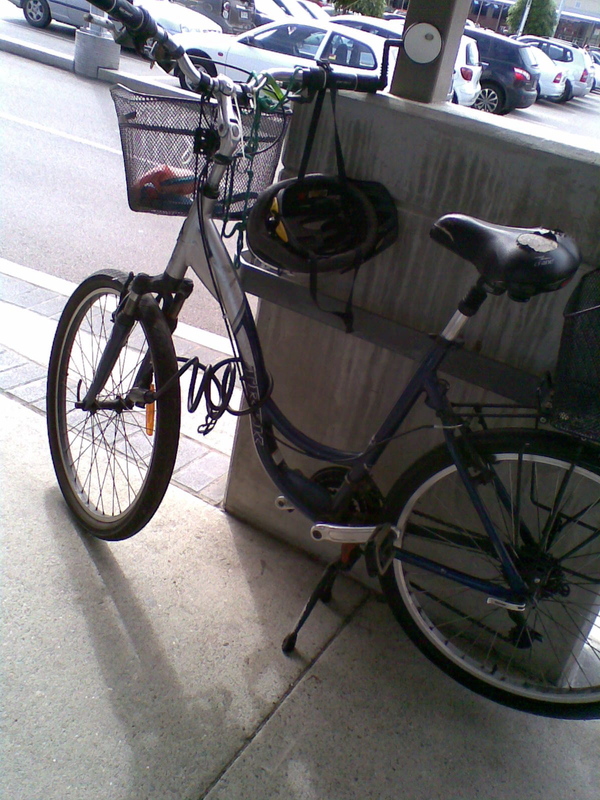 This entry was posted in activism, Newcastle and tagged Bike parking, infrastructure, Marketown, newcastle, street cyclist. Bookmark the permalink.